Colleagues and friends of Preston White of the Library are invited to attend a gathering on Thursday, December 6 at noon in RT 503. Preston, Coordinator of the Library Computer Learning Center, passed away unexpectedly in October. Those in attendance will be asked to help determine how to best honor his memory. Preston began his career at the University in 1983 as a student employee. In 1986 he began working as a Library Media Technical Assistant 1 in the Law Library. He then joined the University Library in 1992 as the Current Periodicals/Microforms Unit Coordinator. He served the Library in various capacities over his 14-year career here. Most notably, he was integral in establishing and maintaining two cutting-edge labs in the Library--the Adaptive Technology Lab for students with disabilities and the Library Computer Learning Center for training students in computer software use. Preston will always be remembered for his exemplary customer service and unwavering dedication to student learning. A two-time alumnus, he received his Bachelor of Arts in Psychology in June 1992 and his Master of Arts in History in December 2000. Permanent link to this topic. Posted 2007-11-27 11:21:39. Reply to Barbara_Loomis. Categories: Library News. Check out the latest books and audio CDs, in the CPL @ CSU collection. As new books arrive, we will be placing the list on our blog, so check back often. To browse the new additions by author, click here or by title, click here. Permanent link to this topic. Posted 2007-11-27 10:23:33. Reply to Tracy_Kemp. Categories: CPL@CSU, Library News. The Library will be closed on Thursday and Friday, November 22nd and 23rd. The Library will be open from 8 a.m. to 5 p.m. on Saturday, November 24th and from noon to 6 p.m. on Sunday, November 25th. Permanent link to this topic. Posted 2007-11-20 11:15:32. Reply to Tracy_Kemp. Categories: Library News. The Through Students' Eyes photography exhibit is on display now at the CSU Library. The photos were taken by several students from Lincoln-West High School in the Clark-Fulton neighborhood. These juniors and seniors snapped pictures with point-and-shoot cameras in the effort answer these questions: What purpose does school serve in your life? What pushes you away from school? What helps you achieve academically? This is Tony "Fresh" Velez, and he is part of CCB (Cleveland City Breakers), a break dancing group, and he is also in drama club at Lincoln-West. The drama teacher lets him do his break dancing and plan all the dancing in school plays, even in the Christmas Carol play. Some teachers may not trust you enough to do that. But that's what keeps guys like him in school. Don't miss this brief glimpse into the the live's of Cleveland's school children. James Harmon is a veteran city teacher who was laid off recently from Lincoln-West, and now helps train new teachers at Cleveland State University. 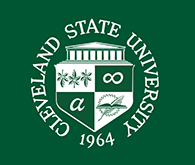 Kristien Marquez-Zenkov is a former teacher who directs an urban teaching program at Cleveland State University. Piet Van Lier is a reporter, photographer, and associate editor at Catalyst Cleveland. To view all the photos in the exhibit, visit www.throughstudentseyes.org and click on "galleries." Permanent link to this topic. Posted 2007-11-20 10:54:53. Reply to Barbara_Loomis. Categories: Library News. Permanent link to this topic. Posted 2007-11-13 08:56:57. Reply to Tracy_Kemp. Categories: CPL@CSU, Library News. The end of the semester can be hectic. Stop by the Library to get help writing your paper. Here are some student workshops that offer you 1/2 hour of lecture and 1/2 hour of individualized assistance from both librarians and the Writing Center Director. All are welcome. Thurs. Nov. 15 from 12-1 p.m.
Wed. Nov. 21 from 4-5 p.m.
Thurs. Nov. 29 from 12-1 p.m.
Thurs. Dec. 6 from 12-1 p.m. Permanent link to this topic. Posted 2007-11-12 11:07:04. Reply to Tracy_Kemp. Categories: Library News. As we celebrate OhioLINK's 15th anniversary, we want to know what OhioLINK means to you, how it has helped you or how you'd explain OhioLINK to your peers. But don't just tell us, show us, in five minutes or less, your OhioLINK story or commercial in a creative video and you could win a new digital video camera or a 160 GB iPod classic. Current students, faculty and staff members at all 87 OhioLINK member institutions are welcome to submit one or more videos. Entries must be submitted by 11:59 p.m. EST on January 18, 2008. A panel of judges will narrow the entries to three finalists, then your votes will determine the grand prize winner and runner up. The grand prize winner will receive his/her choice of a digital video camera or a new 160 GB iPod classic and the runner up will receive the remaining prize. Ready to learn more? Visit the contest Web site for complete rules and details. * January 28-Feb. 8, 2008: Vote for your favorite video! Permanent link to this topic. Posted 2007-11-08 10:11:42. Reply to Tracy_Kemp. Categories: Library News. A Spokane/Coeur d'Alene Indian, Sherman Alexie was raised on the reservation in Washington. His mother worked at the Wellpinit Trading Post where she sold her hand-sewn quilts. Alexie draws heavily upon those experiences for both his writing and his lectures, and does not shy away from including the despair, poverty and alcoholism that often pervade the lives of Native Americans living on reservations. He will be speaking at Cleveland Public Library on Sunday November 18th at 2:00 P.M. Permanent link to this topic. Posted 2007-11-01 08:52:52. Reply to Tracy_Kemp. Categories: Library News. Showing posts from November 2007 only. Display other dates.